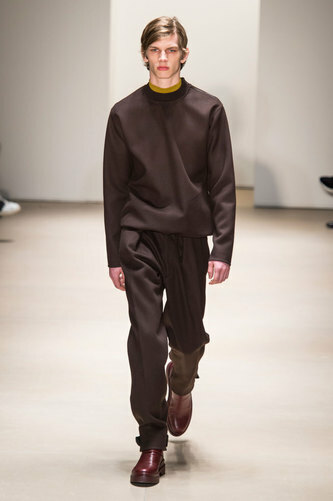 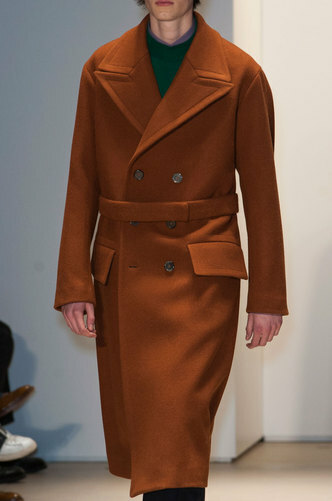 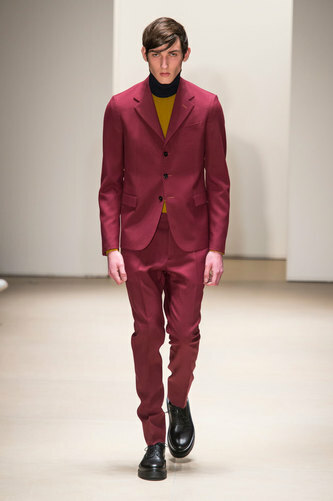 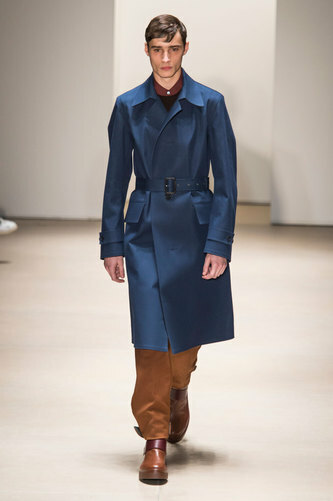 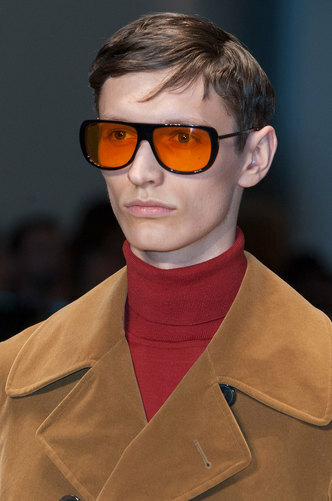 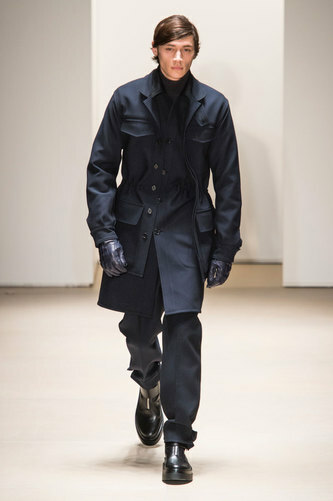 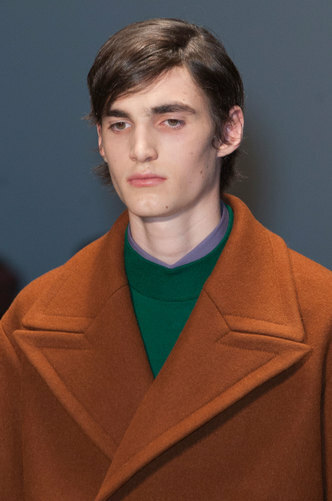 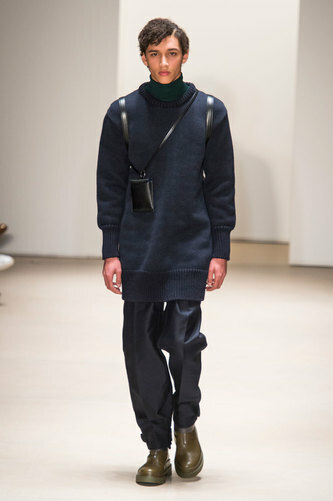 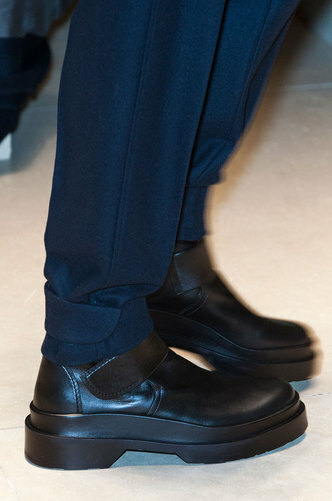 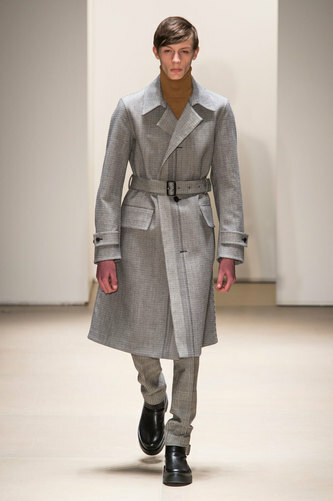 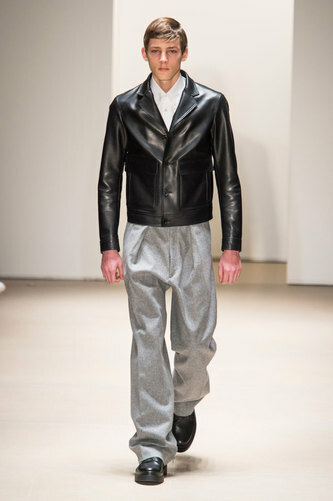 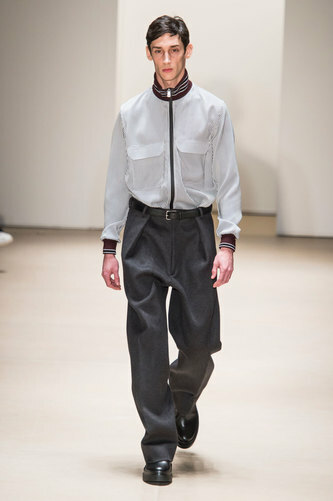 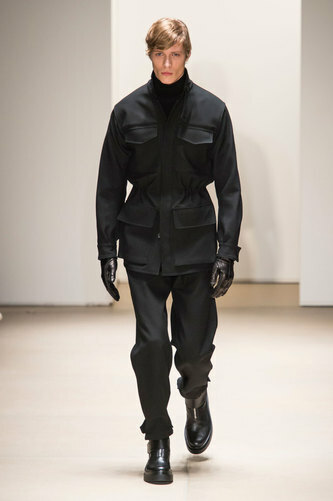 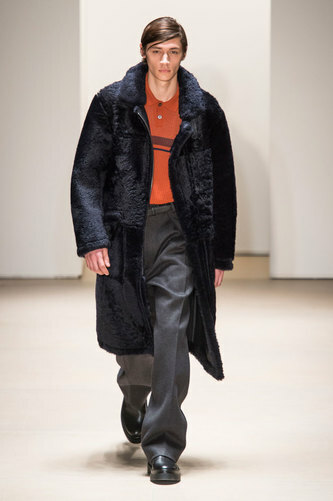 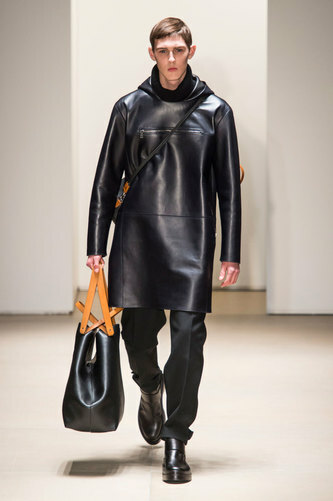 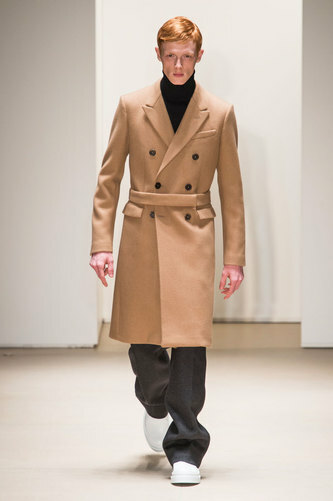 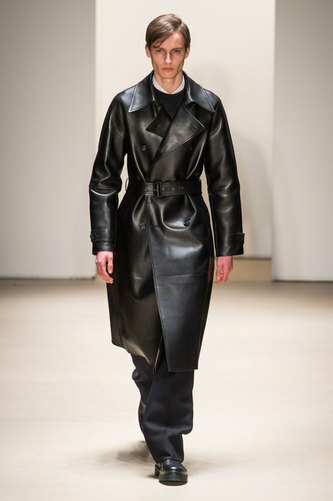 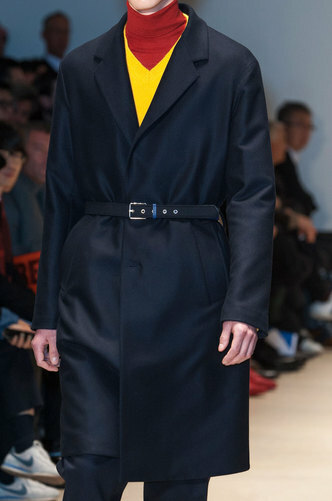 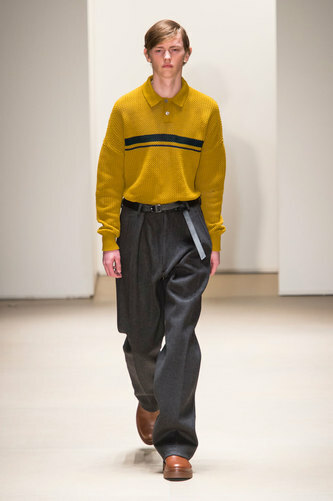 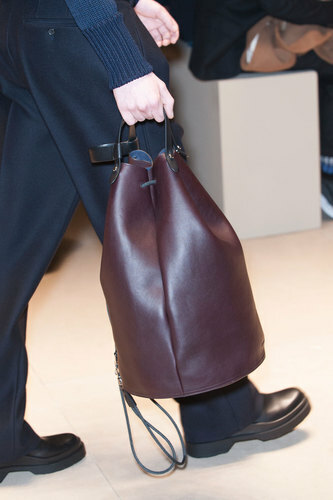 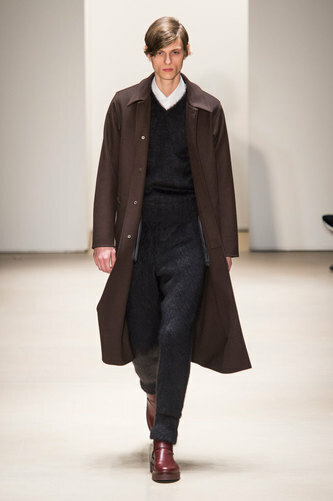 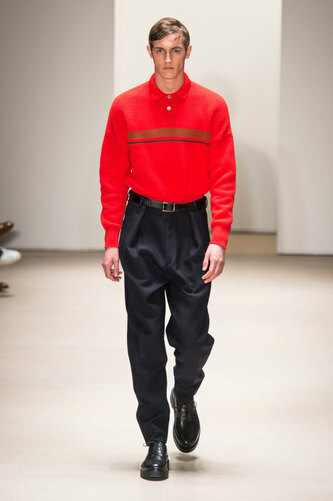 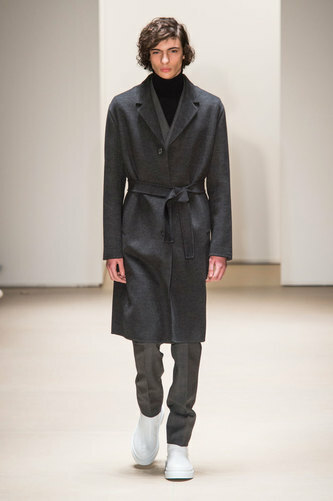 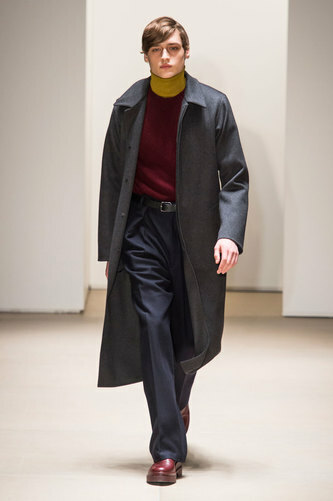 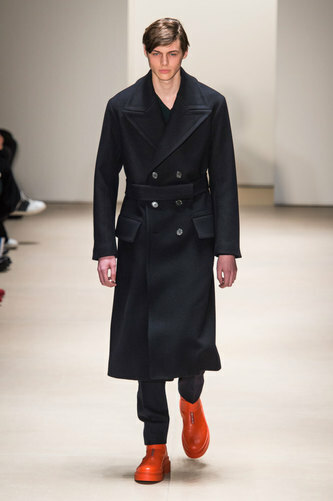 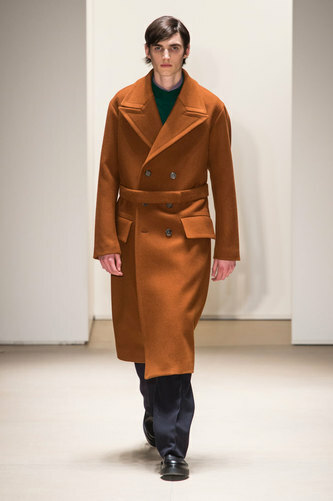 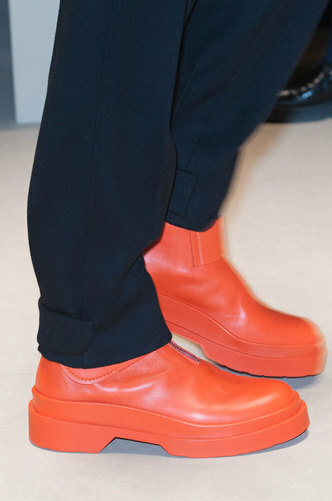 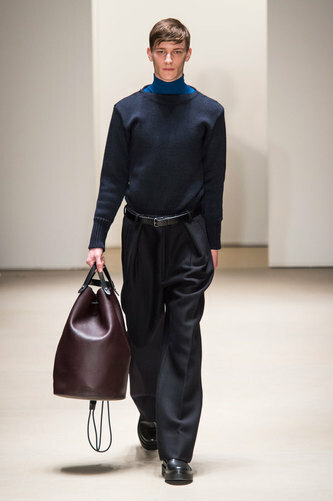 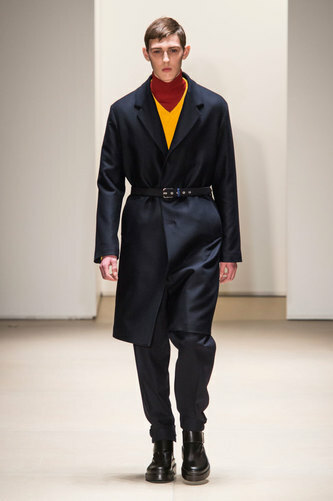 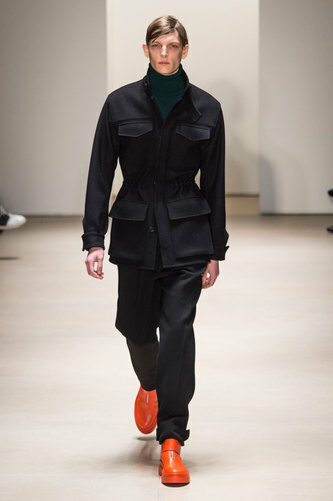 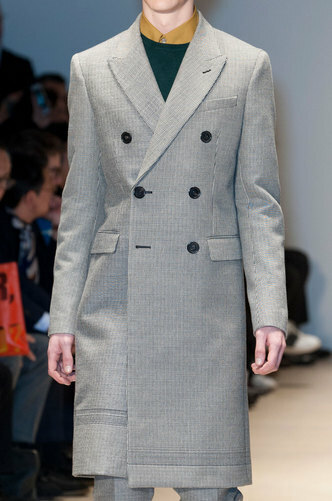 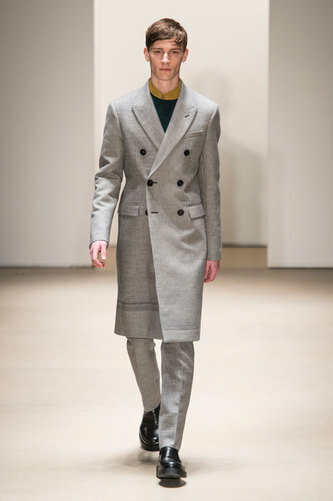 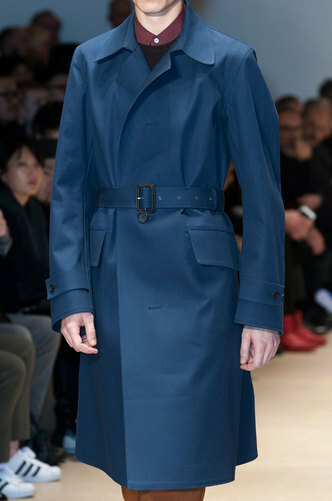 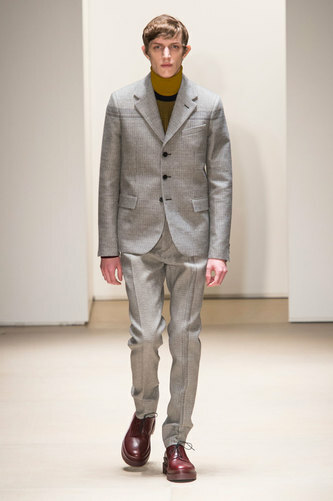 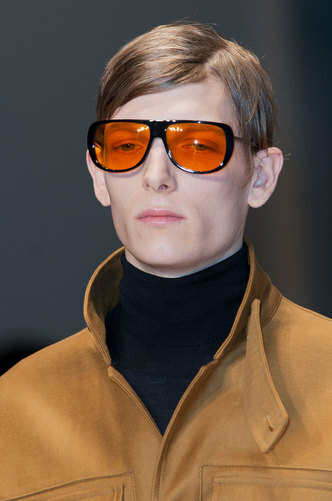 Jil Sander Man Autumn-Winter 2015-16 – The first menswear collection for Rodolfo Paglialunga, the new design director of Jil Sander. 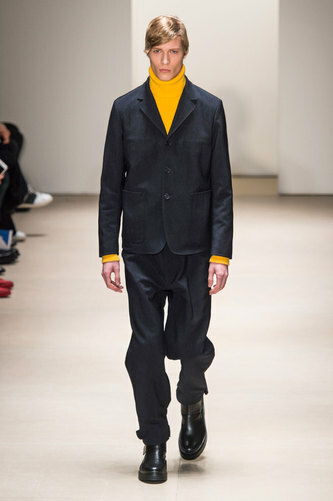 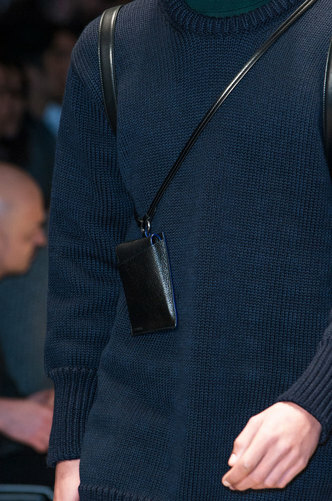 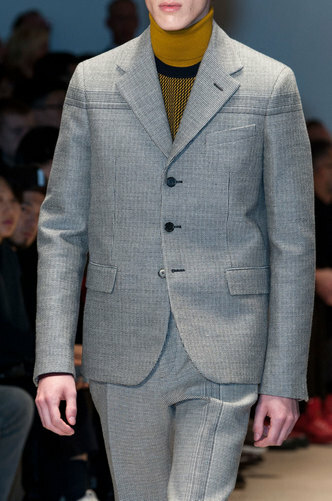 The Italian designer shows his moderate style and his minimalistic approach. 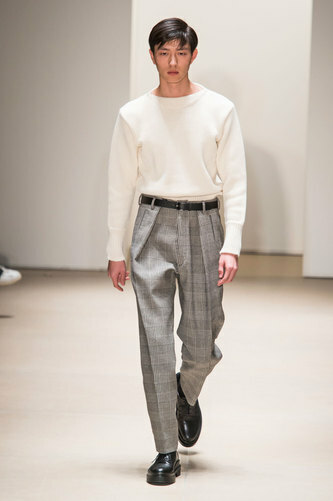 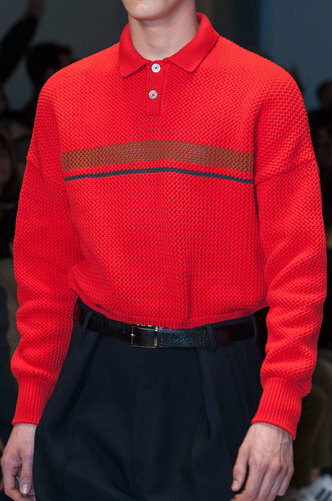 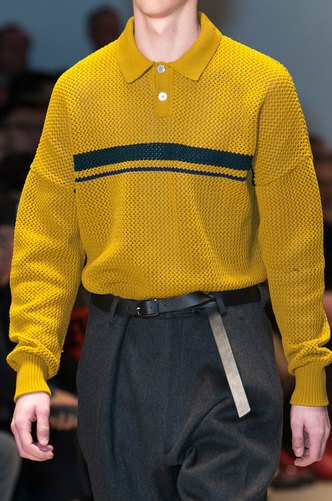 Simple tops, turtleneck and no prints for his debut. 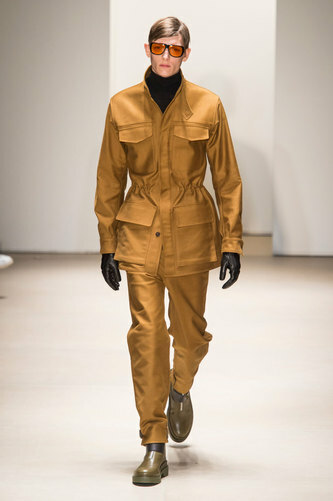 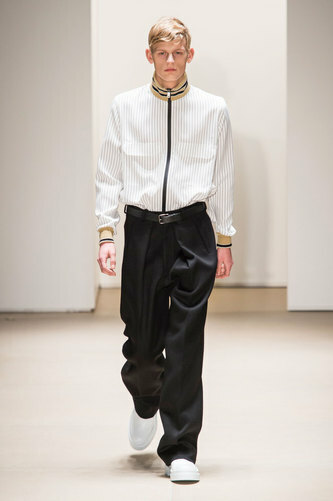 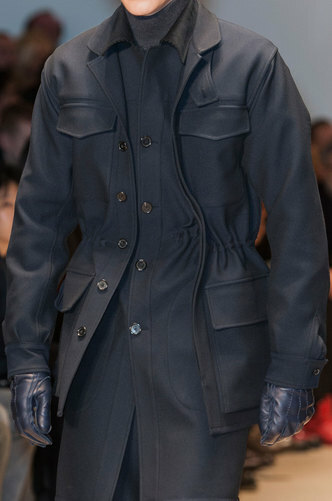 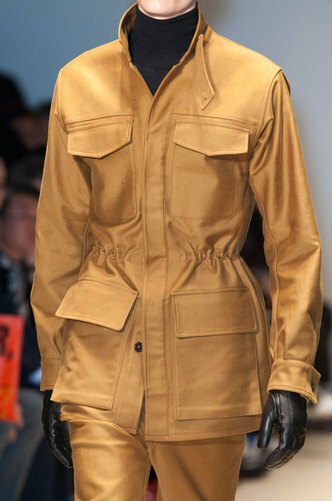 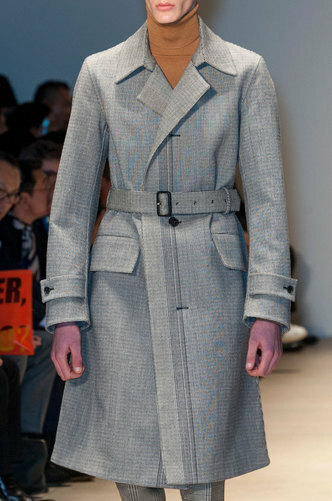 He focuses more on the mid-section of the body: belts on the coats cinched height of the waist and thick pleats on pants are catching the audience attention. 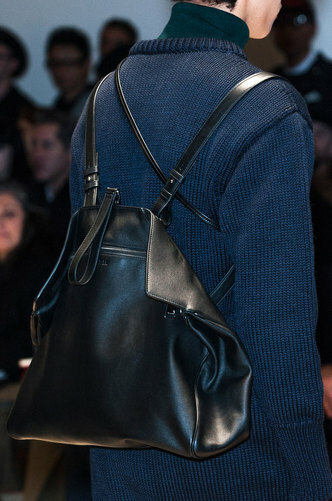 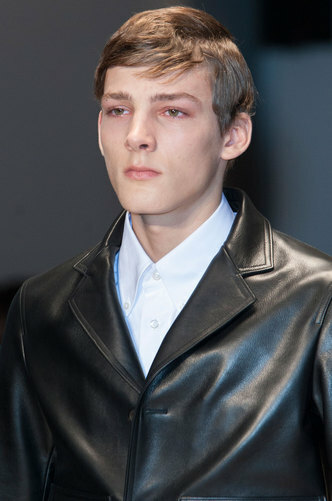 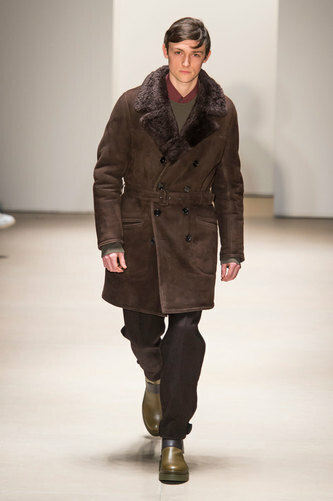 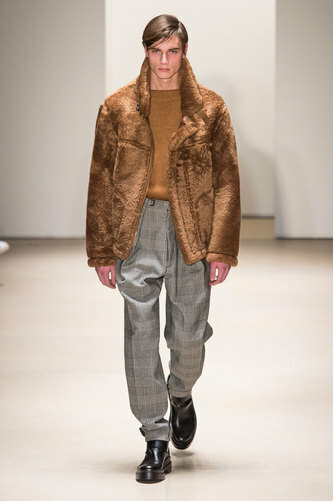 The brand adds to his plain and tailored collection, typical trends of the season: leather details and a teddy bear shearling jacket.